. : Hey all! Great news! We have our 50th follower! The follower is Live! You must comment on this post within 24 hours to win the LE boots! Congrats! Please- I hate to assume this- but 6 people who all have the same icon followed the blog, Live being one of them, and I pray that those all didnt belong to the same person. If i find that that happened I will be VERY VERY VERY VERY VERY MAD! Only a pathetic person would do that. Dayumm, I was the 51st (I think)! Is that too late ? Do you want me to make you a banner and a blog banner..? 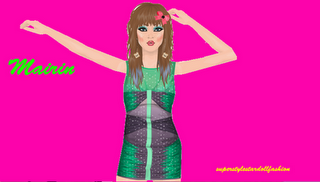 I do them pretty well,if you are interested.. contact me on stardoll.